Note; this article contains references to suicide which some people may find confronting. If affected please call the lifeline or helpline in your capital city. September the 10th is World Suicide Prevention Day. 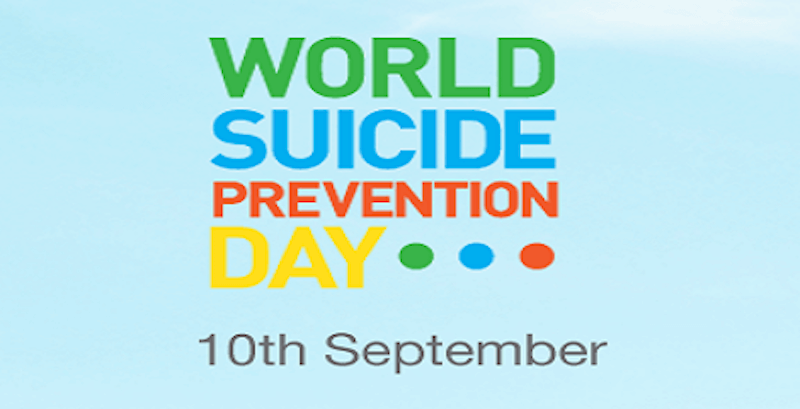 This day is organized by the World Health Organisation in partnership with the International Association for Suicide Prevention. The intention is to call on governments, local communities, clinicians, researchers, and volunteers help to lower the rate of suicide everywhere and to create safer communities. According to The World Health Organization, approximately 800,000 people die by suicide each year. This figure is at least double the road toll for most countries, with the numbers of people attempting suicide or self-harming many times higher. Moreover, suicide is a particularly unpleasant way to die. “the mental suffering leading up to it is usually prolonged, intense, and unpalliated. There is no morphine equivalent to ease the acute pain, and death not uncommonly is violent and grisly. The suffering of the suicidal is private and inexpressible, leaving family members, friends, and colleagues to deal with an almost unfathomable kind of loss, as well as guilt. Suicide carries in its aftermath a level of confusion and devastation that is, for the most part, beyond description.” (Jamison, 1999). The theme of this year’s Suicide Prevention Day is ‘take a minute, change a life.’ Very simply, this means looking out for each other. It means noticing that someone may be struggling and reaching out to them. It means encouraging the person to share their story and taking the time to listen- in a caring and non-judgemental way. Other warning signs include behaviors such as giving away possessions, reckless behavior, substance abuse, talking more about death and suicide. “You don’t seem your normal self lately, is everything alright? If the person confirms they are struggling, be ready to listen. As you listen to their story it will soon become clear whether they may be thinking of suicide. If it seems they may be thinking of suicide the best way to confirm this is to ask them straight up. This is where we need to be brave. There is nothing to be gained from being vague or flaky. This only way to confirm if a person is at risk for suicide is to ask them in as many words. There are several short courses that teach suicide intervention skills. The best ones involve some form of roleplay where participants practice asking these difficult questions using straightforward language. It may make us uncomfortable, but it shows we are on the same page as the person at risk. But what if I make things worse? Reaching out to a person at risk is confronting. If we are honest, we are afraid that asking questions about suicide will make things worse, or plant a seed in the person’s thinking that will push them towards suicide. Rest assured there is absolutely no evidence to support this fear. On the contrary, ask yourself this question. If you were perfectly fine and happy, and a well-meaning friend asked you if everything was okay or if you were thinking of suicide would that push you over the edge? Of course not. On the other hand, if you really were suffering from emotional pain, to the point life was barely worth living would you want someone to care, to check if you were okay and to want to know what was happening? Absolutely. This may be a difficult conversation but by reaching out you can only do good here. We hear it all the time. “But he had so much going for him. But she was so beautiful. But he was the captain of the football team.” The reality is wealth, fame, beauty and popularity are not protective factors against emotional pain. This may seem counterintuitive, given everyone wants to be rich, famous and beautiful. However, the list of rich and famous celebrities who have died by suicide is almost endless. Counselors and psychotherapists know this well. You’ll always see more tears rolling down a pretty face. But there is a real danger in assuming only certain types of people can be at risk. If you think someone is at risk, reach out to them. Don’t hold back because ‘they have so much going for them’. You will notice I have avoided using the term commit suicide. Suicide is no longer classified as a crime in most countries. But if we use the language of ‘committing’ suicide we send the message we consider their thoughts and feelings as criminal, or even sinful. This language is guaranteed to shut down any attempts to connect with a person at risk. Suicide is a tragedy, not a crime. Whatever other beliefs you have about suicide, those beliefs are going to show on your face and in your voice so you may as well examine them. To be clear, this is not a debate about the right beliefs or the wrong beliefs. The only question here is whether your beliefs are helpful when reaching out to the person at risk. For example, if you believe suicide is ‘the weak way out’ or is ‘selfish’ or ‘sinful’, those attitudes will undermine your attempts to connect the person. But if you simply remember suicide is driven by severe emotional pain you are more likely to appear compassionate and empathic. Having reached out to the person, listen patiently to their difficulty story. It’s difficult, in that it’s hard for us to sit through. I have a highly experienced colleague, Bronwyn Owen, who calls this ‘sitting in the mud’. It takes courage and compassion to just listen, without interruption, without offering solutions and without judging. The goal is to listen to the point where the person no longer feels so alone. A common trap for novice helpers is to appeal the person’s sense of guilt. For example, “how will your family feel if you kill yourself?” “Think of your loved-ones.” It’s natural to say whatever we can think of to help the person. But remember suicide is driven by intolerable pain and despair. More pain, in the form of guilt provided by us, is not going to help. A suicidal person is convinced others will be better off without them so bringing loves ones into the frame won’t help. Some of the most promising work in suicide prevention is being done by Positive Psychology researchers. Traditional approaches to suicide naturally focus on reducing risks factors such as depression and hopelessness. However, a study by Huffman et.al. (2013) found exercises designed to increase gratitude—for example gratitude letters and counting blessings successfully reduced depression and suicidal ideation among hospital in-patients. Exercises focusing on building personal strengths were also associated with substantial improvements. Prof. Martin Seligman has reported on studies with military personnel where very low scores on ‘meaning and purpose’ predicted later suicides. These findings have resulted in programs designed to identify people at risk (i.e. people with low scores on meaning and purpose) and involving them in programs designed to enhance life meaning. R U OK? Day began in Australia eight years ago. The day is held on the second Thursday in September and is intended to prompt us to check in with family, friends, and colleagues by asking the simple question, “R U OK?” Everyone is encouraged to do this one small thing to bring communities together and hopefully connect with those in our network who have been quietly struggling. Then, if you do find someone struggling – start a conversation. Huffman, J.C. DuBois, C.M., Healy, B.C. et.al. (2014). 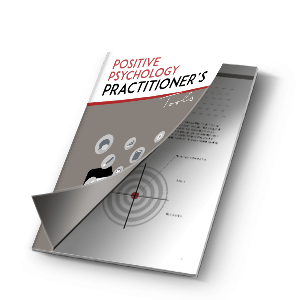 Feasibility and utility of positive psychology exercises for suicidal inpatients. Gen Hospital Psychiatry. Jan-Feb;36(1):88-94. Jamison. K.R. (1999). Night Falls Fast: understanding suicide. Random House. Cornum, R., Matthews, M. D., & Seligman, M. E. P. (2011). Comprehensive soldier fitness: Building resilience in a challenging institutional context. American Psychologist, 66(1), 4–9. Harrison, M., Vargo, T. (2017) Suicide Prevention and Psychological Resilience for Military and Veterans: Program Overview. Oxford University Press. Thanks Terri for the question. For a while the convention was to use the neutral term, “the person ‘completed’ suicide.” Now we just use the term ‘suicide’ as a verb. Eg. “The person suicided.” PS. Your group works sounds fascinating. Thanks for this, it was really helpful. And thanks for pointing out that the word ‘commit’ is not helpful. I hadn’t considered that. Please could you tell me what word would be better to use? I’m an admin in an exJehovah’s Witness group and suicide and suicide ideation is a common issue sadly in our community. Thank you.